Former reality star/White House aide Omarosa Manigault Newman made some explosive claims in Unhinged, her new tell-all book about her brief tenure in the Trump administration. According to an advance copies of the book obtained by the Guardian, the Washington Post and the New York Times, Omarosa claims that several sources confirmed to her that the rumored audio of Trump saying the n-word on the set of Celebrity Apprentice does indeed exist, although she admits that she hasn’t heard it firsthand. The former reality show villain also claims that she witnessed President Trump’s racism up close, when she heard him call Kellyanne Conway’s husband George Conway slurs based on his Filipino heritage. According to an excerpt obtained by the Washington Post, Omarosa writes in the book that after her dismissal from the White House, she received a $15,000 a month job offer from Lara Trump to join the election campaign in exchange for signing an ironclad NDA. She says she declined the offer. Omarosa is, of course, an unreliable narrator with questionable credibility on practically every subject. However, she’s arguably no worse than any of the other grifters and opportunists working in the Trump administration. After Omarosa’s reportedly dramatic firing in December, Politico reported that chief of staff John Kelly let her go because she was allegedly abusing White House car service privileges, among other infractions. While that’s certainly a fireable offense, it’s small potatoes compared to the misappropriation of public funds perpetrated by former HHS secretary Tom Price and recently ousted EPA chief Scott Pruitt. Commerce Secretary Wilbur Ross still has a job after an explosive report in Forbes alleged that he’d siphoned $120 million from his old Wall Street cronies. Being out for no one and nothing but yourself is a requirement for working in the Trump White House. With that out of the way, is Omarosa’s attempt to redeem herself and condemn an administration she ardently supported self-serving? Sure. However, when it comes to dishonest White House castoffs, I’d personally prefer her scorched-Earth approach over the Steve Bannon, Sean Spicer, and Reince Priebus style of continually carrying Trump’s water long after the boss continually humiliated them or tossed them aside. 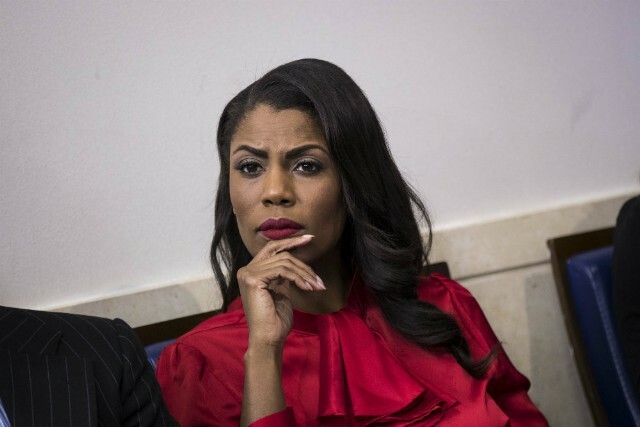 Omarosa’s self-interest and credibility issues are an asterisk lingering over her account of her role as a Trump aide, and as Washington Post points out, the book is littered “unverified accusations.” Based on previews of the book, it sounds like she mainly enforces things the public already knew about Trump, like his racism. She claims that she was fired for actively trying to find the n-word tape. This, of course, is questionable considering her tenure was plagued with reports that no one was sure exactly what she did at her post in the Office of Public Liaison, other than reportedly plan her wedding and rile up Trump with leaking accusations about other aides. Conway has since denied Omarosa’s allegations and called her credibility into question on Twitter. Others, including White House Press Secretary Sarah Sanders, have also denied her claims. Another White House official confirmed that Manigault Newman brought Cohen into the White House and was later rebuked for it. The two remain in contact, according to people familiar with the relationship. “I saw him put a note in his mouth. Since Trump was ever the germaphobe, I was shocked he appeared to be chewing and swallowing the paper. It must have been something very, very sensitive,” she writes in her book. There is no proof that he chewed on paper, and several White House aides laughed at the assertion and said it was not true. The New York Times pointed out that Omarosa makes factual errors throughout the book, “such as asserting that an aide who worked on the transition into the White House was brought in months later.” However, the most unbelievable aspect of Unhinged are the rationalizations Omarosa makes about joining the administration in the first place, claiming that she only realized later that “was indeed a racist, a bigot and a misogynist.” Like every other mercenary in Trumpland, Omarosa was likely fully aware of those things, but was willing to overlook them in order to serve her own craven ambitions.